The requirements for a marriage visa to the U.S. are many; however, if done systematically and truthfully, they appear as simply procedural. The process is lengthy in order to make sure the intended marriage is a truthful marriage and not a sham based on the desire for a residence visa. As such, the process is grueling for all applicants. However, if you have nothing to hide, you will have little problem proving your sincerity. Before the alien fiancé(e) can begin applying for a marriage visa, the U.S. citizen fiancé(e) has to file form I-129F through the United States Citizenship and Immigration Services (USCIS). The form is merely a petition for the alien fiancé(e) to get the process started. You can download the form from the USCIS website under the forms section. The application fee for I-129F is $455. What Documents Do I Need if I Married a Foreigner? The alien fiancé(e) must download and complete forms DS-156 and DS-156K from the website of the United States Department of State. 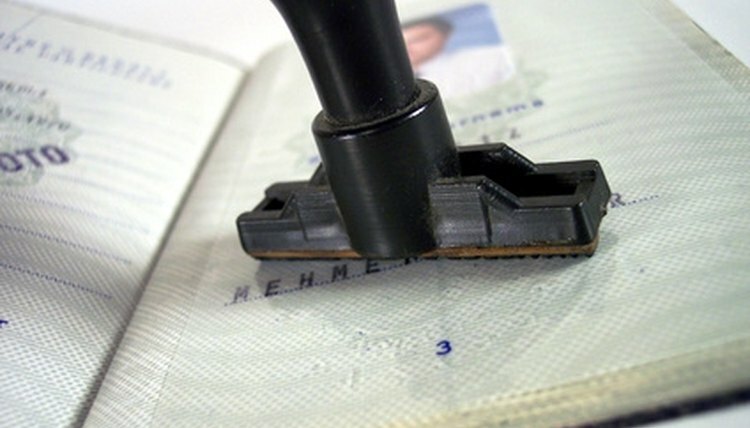 Two identical copies of DS-156, Nonimmigrant Visa Application, are needed at the time of application. Only one copy of DS-156K, Nonimmigrant fiancé(e) Visa Application, is needed. The alien fiancé(e) must provide additional documents at the time of application: a valid passport, birth certificate, two identical visa photos (color, 50x50 mm), any marriage, divorce or death certificates, form I-131 Proof of Financial support available for download from the USCIS website, and a police record of every location of residence since the age of 16 (this requirement must be completed by your local police). The use of sham marriages to gain permanent residency in the U.S. has historically been abused, so the U.S. government holds strict regulations for the interview process in order to determine that you are entering into a true marriage. Consider the interview as an interrogation; you must prove that your relationship with your U.S. citizen fiancé(e) is legitimate. Helpful evidence includes plane records, phone records, letters or emails, photographs of the both of you, a timeline of your relationship (two years is the minimum) and instant messenger records. The more you can prove, the likelier your application will be approved. Proof of a medical exam is also required upon application. The locations and procedures of the exam vary in every country; you will be informed by the embassy or consulate of where to go to complete this requirement when you schedule your application appointment. You must also pay the $131 application fee at the time of the interview and take a digital fingerprint scan. After you enter the U.S. on your approved visa you have 90 days to get married. Once married, form I-485 is required in order to change your status to permanent resident (green card holder). You must also file I-864, affidavit of financial support, at the same time. Both are available at the USCIS website. The application fee for I-485 is $1,010. Ferland, Mallory. "Requirements for a Marriage Visa." , https://legalbeagle.com/6495743-requirements-marriage-visa.html. Accessed 21 April 2019.